EDC flashlights were first popularized by emergency professionals, and then later by survivalists. It’s a term used to describe a flashlight that’s carried on a daily basis, as opposed to one that sits in a toolbox at your home or in an emergency survival kit. A person may begin carrying one of these lights for emergencies but after carrying it will usually find out they use it more than they thought they would use it. Whether a person carries their everyday carry flashlight physically on their person, or keep it stashed in a backpack, briefcase or a glove box, it’s sure to become an invaluable tool. With that in mind, we’ve decided to shed a little more light on the subject and talk about the top ten models we feel are currently available. Powered by a single AAA alkaline battery, this every day carry flashlight delivers a beam of light with a light level of 28 Lumens. It has an anodized aluminum body that’s durable and meets Type II Military Specs for corrosion and abrasion-resistance, and has a scratch-resistant with an almost unbreakable polycarbonate lens. With a beam distance of up to 150-feet, this model is suitable for illuminating even the largest of backyards. The MicroStream produces light for up to 2 hours and 15-minutes, and all of its openings are sealed so it’s resistant to rain. Everything taken into consideration, this light is a good light to carry around. With an aerospace aluminum body that meets military specifications, O-rings and gaskets which have a weatherproof design, and a tempered window that resists impact, this EDC flashlight is designed to be extremely durable. The end of it is equipped with a strike bezel which can be used for self-defense purposes or to shatter glass in an emergency. But the most important aspect of this flashlight is the light it produces. It has two output levels: high for 600-Lumens of high power light and low for an energy saving 5-Lumens of light. It has a tail cap switch, and it runs on just one 123A lithium battery. This high-quality penlight is capable of delivering an inspection beam that has clearly defined edges and makes illuminating areas for inspection extremely easy. This clear and focused beam of light can travel a distance of up to 72-feet. This product also has a durable aluminum body that’s designed to be impact-resistant and weather resistant up to IPX4 standards. The G20 is only 6-inches long, so it can be taken just about anywhere and has a clip so it can be clipped to a pocket or backpack. It also has a runtime of about 10-hours so it won’t disappoint when it’s needed the most. The Fenix E12 is only 3.5-inches long and weighs only 3-ounces, so it’s small enough to be taken just about anywhere. However, although it has a compact size doesn’t mean that it doesn’t deliver big on features because it clearly does. This product uses only a single AA battery but is capable of producing a 50-Lumens beam of light for 6.5-hours or 8-Lumens of light for 40-hours. If the user needs an even brighter beam of light, it can also shoot a beam of light 130-Lumens strong for up to 289-feet. And it has a convenient easy-to-use tail cap switch that allows the user to control all of its functions. 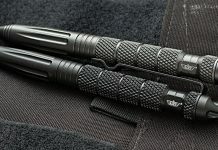 Many people are familiar with the large flashlights made by Maglite but don’t realize that this company also makes a smaller model for every day carry applications. The Maglite Solitaire has the quality people expect from this company and delivers a powerful beam of light at the same time. It’s powered by a single AAA battery and is small enough to be carried in a pocket, in a purse or in a briefcase. This model is designed to be drop-resistant and is equipped with weather-resistant seals which protect it from both rain and snow. This makes this product suitable for taking to work, on fishing trips or while hunting. This product is designed to be skid proof and water-resistant and is powered by a single 18650 rechargeable Lithium-ion battery. This product has an alloy frame with a plastic sleeve and has 5-different light modes which include a full brightness level, medium level, low level, strobe, and SOS. It can be used to illuminate a wide area or can be used as a spotlight that casts a beam of light up to 200-meters. And it uses a high-Lumens LED that’s about ten times brighter than an incandescent bulb of the same size. This flashlight can be carried just about anywhere and is suitable for campers, hikers, hunters, or anyone who needs a reliable flashlight. This tactical flashlight can light up an entire room or can be used to focus on a particular object located up to 200-meters away. Up to ten times brighter than old-fashioned flashlights, the J5 Tactical V1-Pro delivers the light the user needs and is only powered by either a single AA battery or a 14500 rechargeable battery. It has 3-different settings: high, low and strobe, and is small enough to be placed into a pocket or purse. This model is also water-resistant and can survive a 9-foot drop without any ill effects. This flashlight is designed for people who need their flashlight to be both tough and reliable. This LED penlight is not only designed to be compact and portable but is also designed to be durable. It has an aircraft aluminum body that meets Type II Mil-Specs and is waterproof up to the IPX7 standard. It’s equipped with a super bright Cree XP-E2 R4 LED which has a lifetime of approximately 50,000 hours. This flashlight can produce up to 120-Lumens of light and cast it up to 160-feet. This light is approximately 5.2-inches long and can easily be placed into a pocket, backpack, purse or briefcase. And this makes it a useful light for any daily activity or to keep in an emergency. Designed to be used in extreme conditions, this tactical EDC flashlight is both durable and quite adaptable. This light is made with an anodized aluminum body that’s equipped with an over-charge prevention circuit, a heat-resistant aluminum reflector, and durable rubber gaskets. All of these features allow it to be weather-resistant up to the IP65 standard and to be shock-resistant as well. It has 5 different settings: high, medium, low, strobe and SOS. This light can deliver a 900-Lumens bright light in the high mode that can reach over 600-feet. 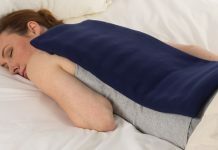 In medium mode, it can deliver a beam of bright light for up to 6-hours. This two-pack of everyday carry flashlights are designed to give the user the light they need when they need it. The flashlights in this set use high-performance LEDs which can generate up to 300 Lumens of light for up to 3-hours and on a single AA battery. They come with three different lighting modes: high, low and strobe, and offer a beam that can be zoomed in to focus on a particular object. Designed with aluminum bodies, these 2 flashlights also perform in all weather conditions and can survive temporary submersions into water or accidental drops. This makes these EDC lights perfect for not only everyday use but also for emergencies.